This entry was posted in Processing, Shooting and tagged 28-300mm, Arizona, AZ, camera, cloud, D700, desert, HDR, Nikon, Paint Shop Pro, park, photography, Photomatix, South Mountain, storm, Topaz. Bookmark the permalink. Nice shot, Zann! I can’t tell you how many times I’ve taken this exact same shot and still ended up tossing it due to all the haze/dust in the air. 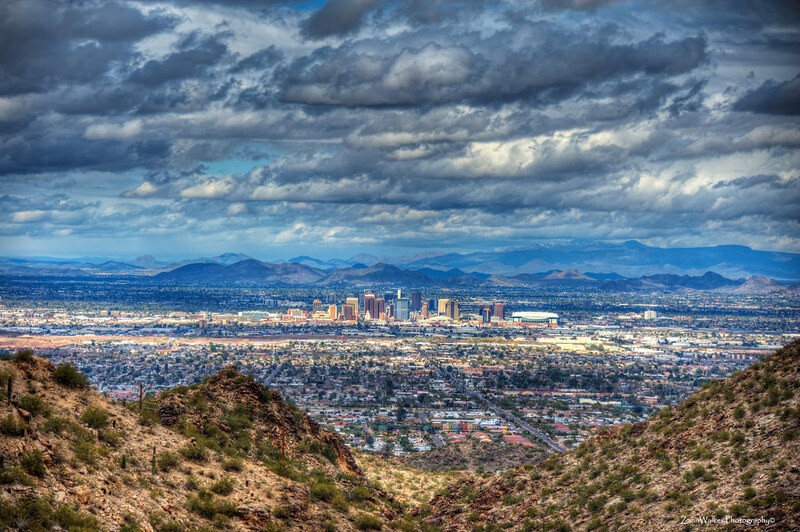 It’s so hard to get a good photo like this of the downtown Phoenix area from South Mountain. I think you did a great job though!